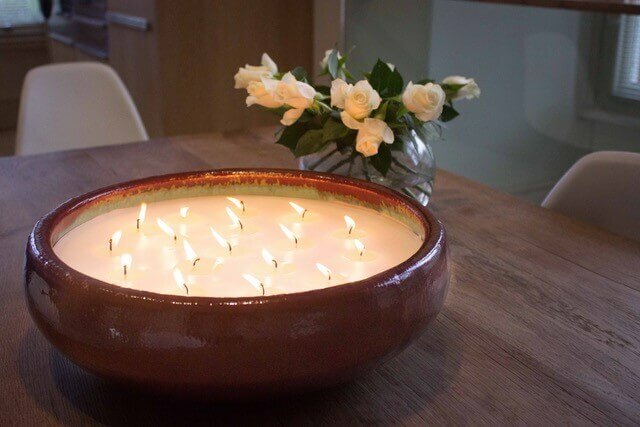 Multi-wick soy candles in lustre glazed ceramic bowls – each bowl is hand dipped so no two are the same, a beautiful addition to your home. Hand poured in Devon, using soy wax and eco-cotton wicks, available in 4 sizes (6 wick, 12 wick, 17 wick and 23 wick) and a choice of 8 colours - gold, metallic gold, gunmetal, sea green, royal blue, peacock green, white and red. 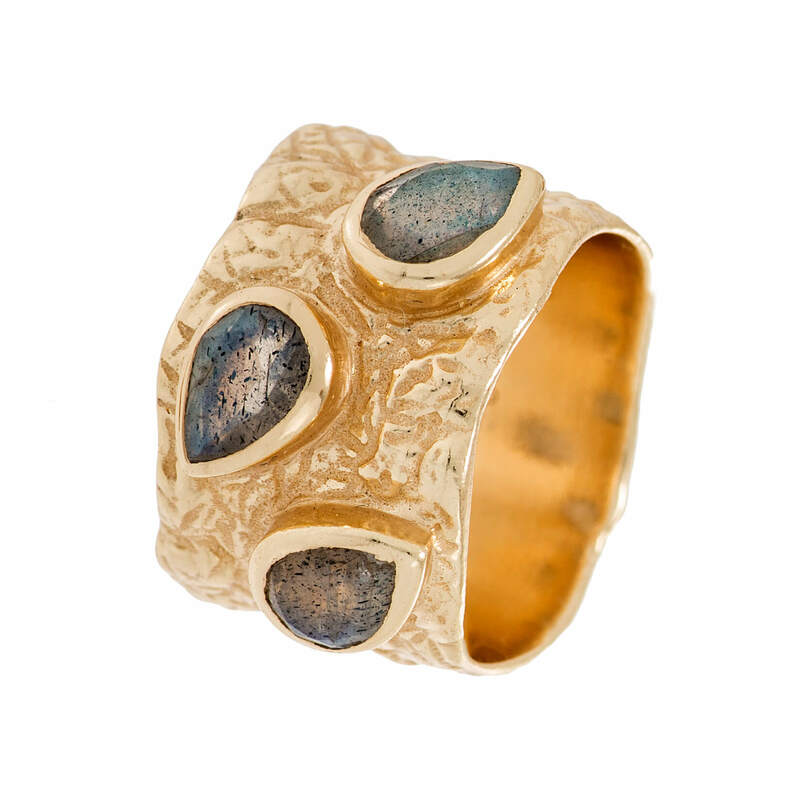 Individually designed and hand-crafted jewellery inspired by Anglo-Saxon styles. 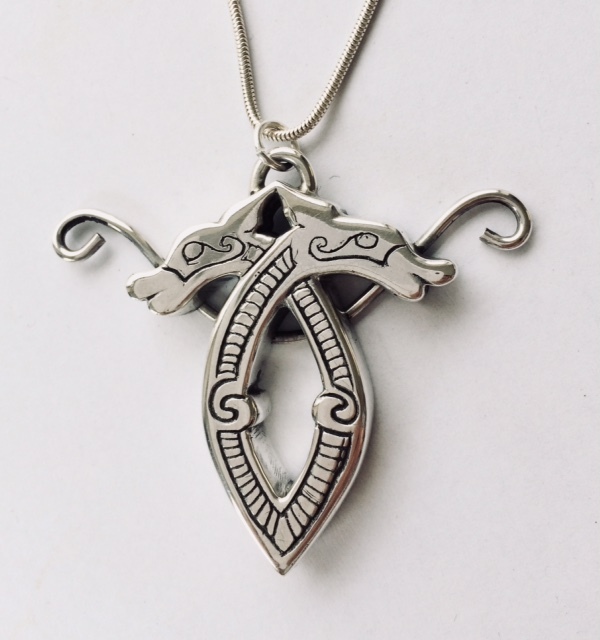 A full range of pieces from large one-off neck-pieces to rings and bangles, largely in silver alongside gold, platinum, bronze, copper and mixed metal pieces. Commissions welcome. Banana Boxers - 100% cotton boxer shorts for men & boys. Welcome to Banana Boxers. Our aim is simple: to provide a range of comfortable, bold, fun and uniquely printed boxer shorts, without any compromise on quality or style, at an affordable price. 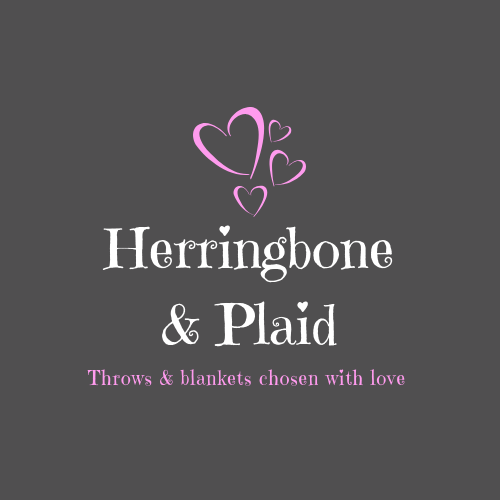 Established in 1996, we are a family business based in the heart of the Brecon Beacons. 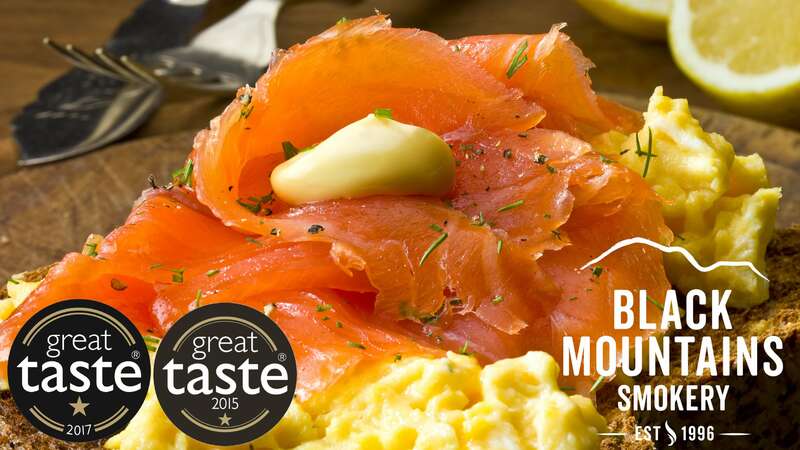 Our Crickhowell smokery delivers the very best artisan smoked fish, meats and cheese, as well as a range of smoked food gifts and luxury hampers. 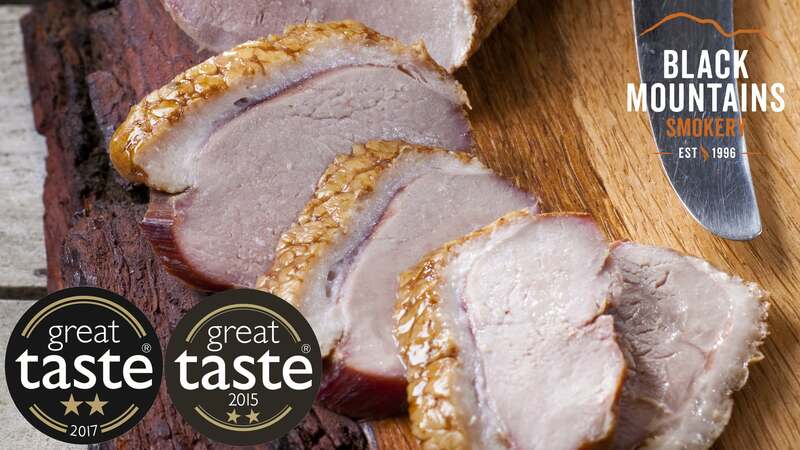 Our fresh produce, carefully handpicked for its quality, provenance and sustainability,is traditionally cured and gently smoked over Welsh oak for enriched flavour and unique taste.We make good food even better. Each beautiful Moroccan Berber rug has been hand selected. All of the rugs exemplify high-quality craftsmanship. 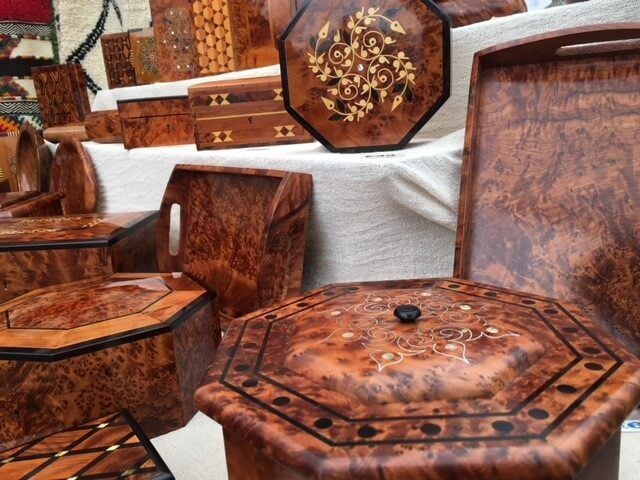 Our Thuya craft products include jewellery boxes which have elaborate forms and detailed inlays which take days to weeks to complete. 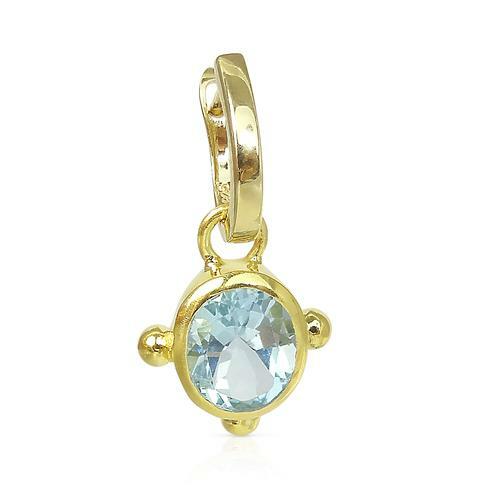 Coco & Kinney jewellery is unique, stylish, modern, and most importantly, affordable. 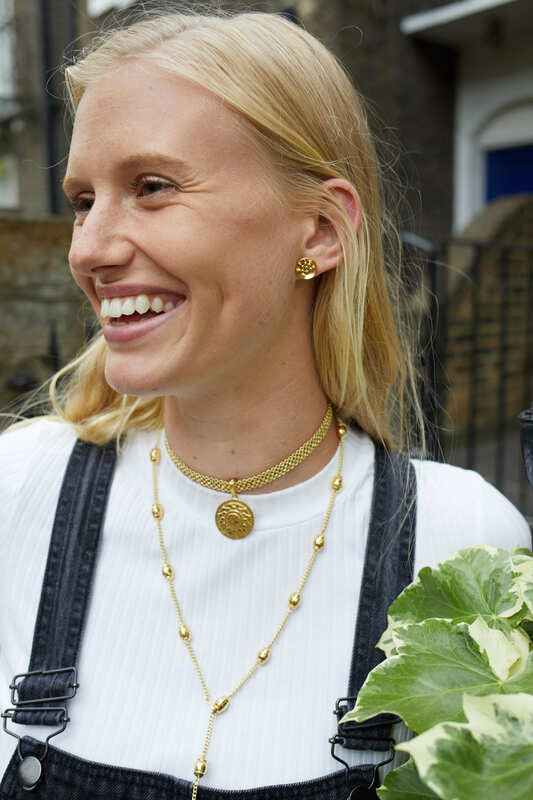 We are best known for our ‘Create Your Own’ earrings- starting with a stud you can add a variety of drops to take yourself from desk- to- date in an instant. The ‘Create Your Own’ collection and the rest of the Coco & Kinney range make excellent gifts as you can build on it year after year. 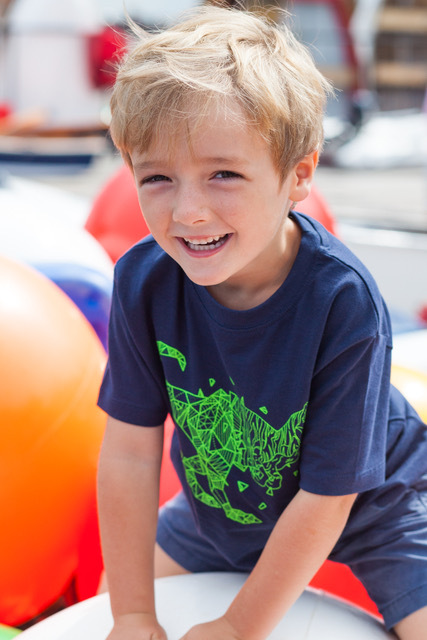 The designs are full of fun and colour and appeal to all ages. 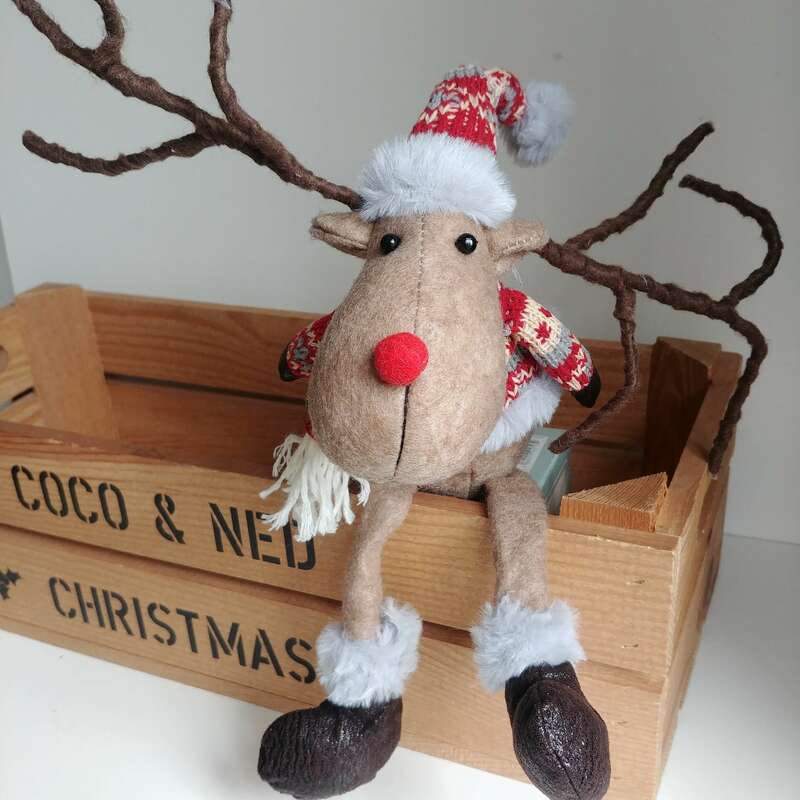 Based in the West Country, CoCo & Ned design and source a fabulous range of contemporary and traditional Christmas decorations for the tree and home.All our decorations have been crafted specially for us, using wood, fabric, rattan and sparkle! 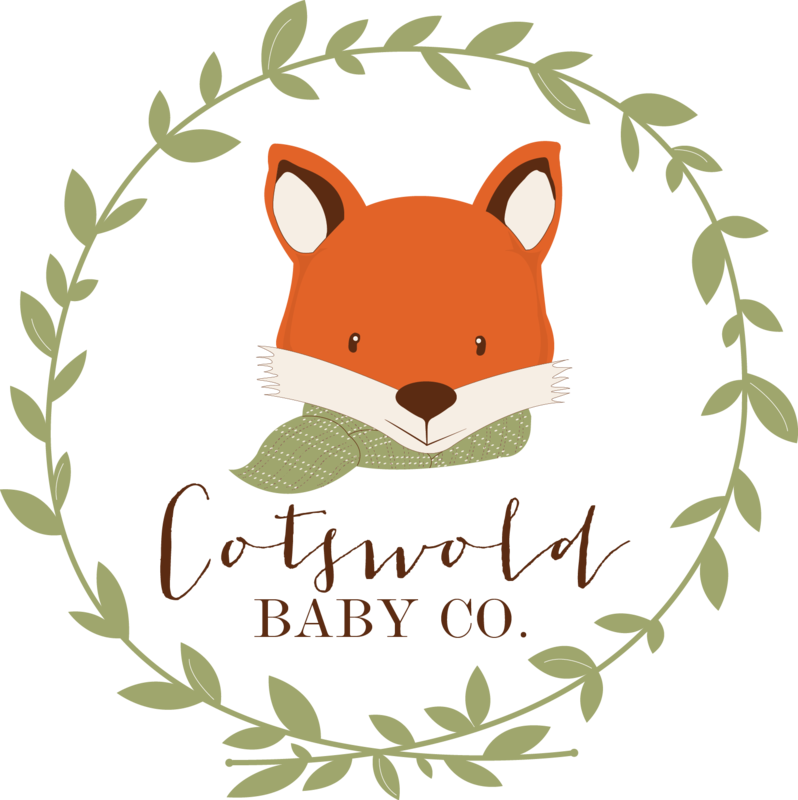 Launched in Cirencester in October 2017 by two new Mamas,with collections such as 'Fantastic Fox' and 'At The Farm' inspired by life in the Cotswolds. 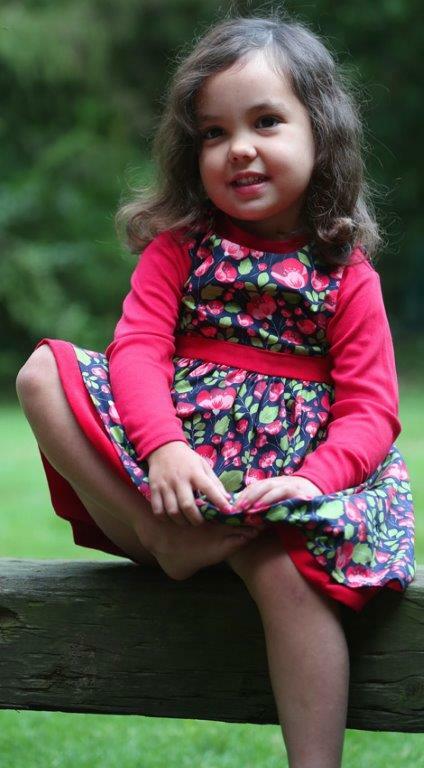 We offer gorgeous and unique clothing for babies and toddlers aged 0-4 years,and will be showcasing these at Beaufort, together with our new Autumn collections 'Woodland' and 'Dinosaurs', plus some great Christmas and new born gift ideas. unique sterling silver and silver plated semi precious stones and fresh water pearls.Both contemporary and traditional designs for all tastes and all pockets.Beautifully displayed and boxed and wrapped. 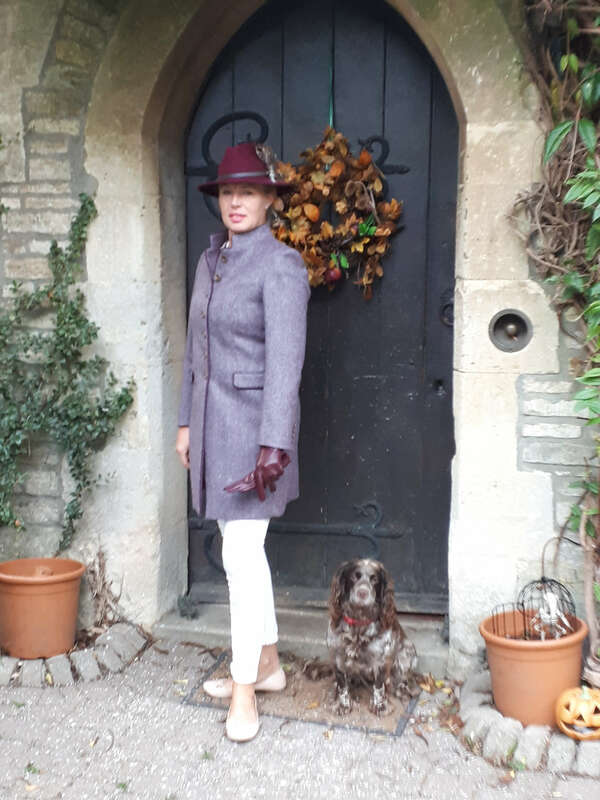 A stylish accompaniment to co- ordinate with British made pure wool elegant country jackets are a range of a colourful range of fedoras with individually hand crafted feather accessories, using vintage jewellery, buttons or cartridge cases for. Leather gloves to match! Stuck for something original for the boys in your life this Christmas? 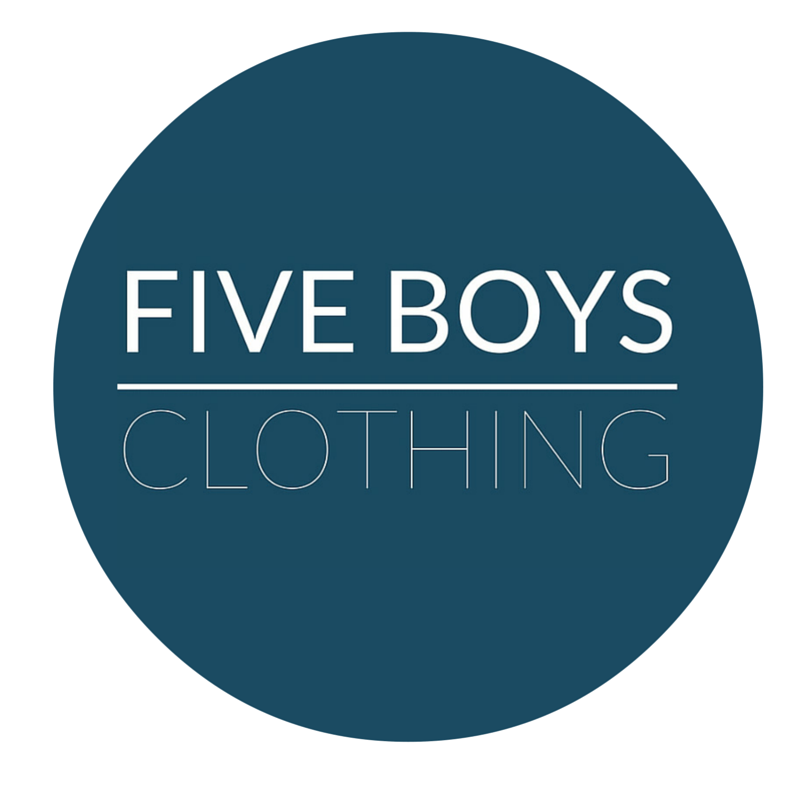 Look no further than Five Boys Clothing,a treasure trove of cool clothing and inspired gifts for everyone from threenager to teenager. 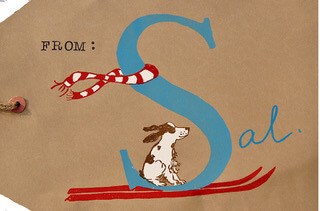 Illustrated letter place-mats, coasters, name prints, special occasion prints, cards,postcards created from Sal’s own hand illustrated alphabet. 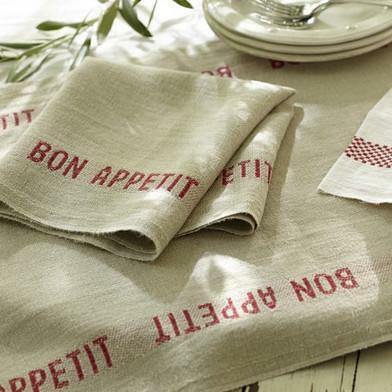 Choose a place mat for every family name and X for that extra person. 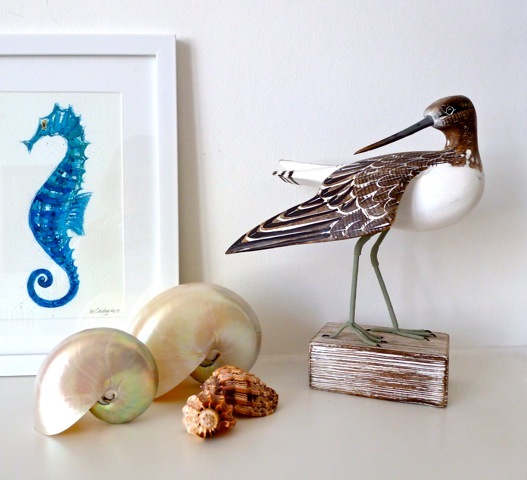 All prints are personalised & bespoke illustrations such as a family pet or sky diving seal, can be created for you to celebrate a birth, 90th, wedding, any occasion! 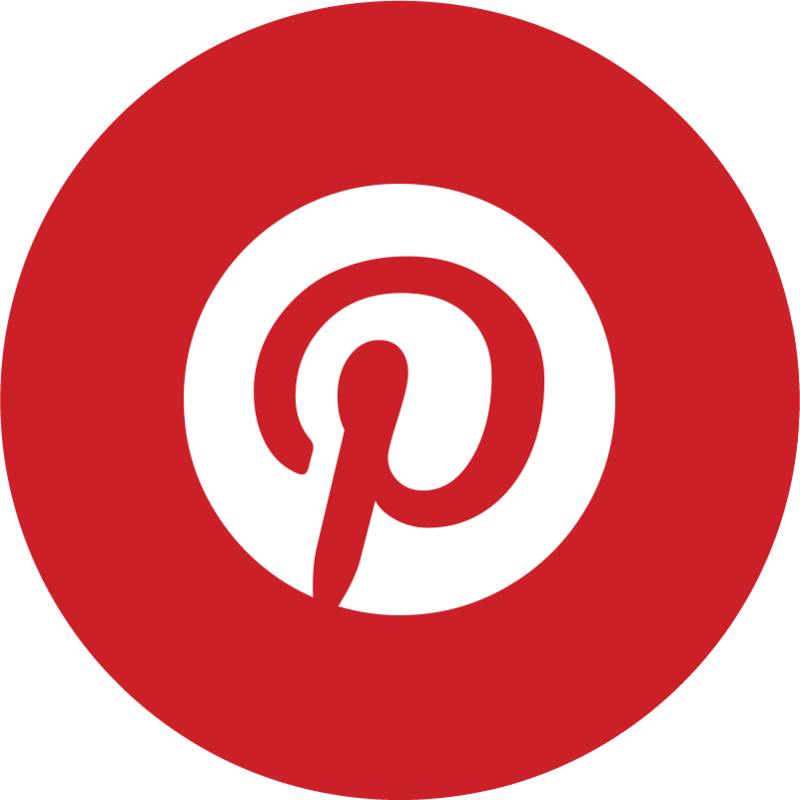 We design, make and sell Luxury Lounge Pants/PJ Bottoms for women, men and children. 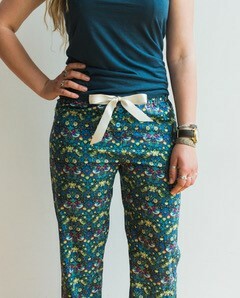 Designs include many Liberty silks and cottons, and brushed cotton checks. Matching bamboo tops available in a range of colours. A unique and useful Christmas present! Hats,Headband, Hot Water Bottles covers and Tea Cosy. 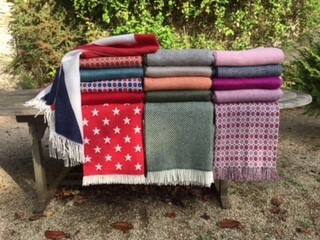 British-woven mohair, alpaca and merino lambswool throws; cashmere, mohair and alpaca scarves and wraps; and cotton Hamam towels. 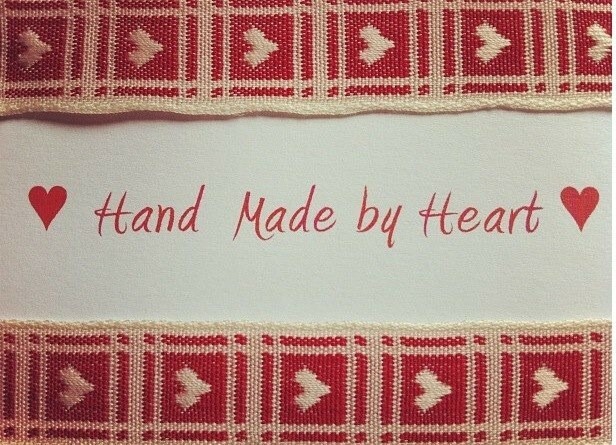 All made from natural fibres and chosen with love. Humorous and stylish gifts and stocking fillers, designed by Hic Haec Hoc. 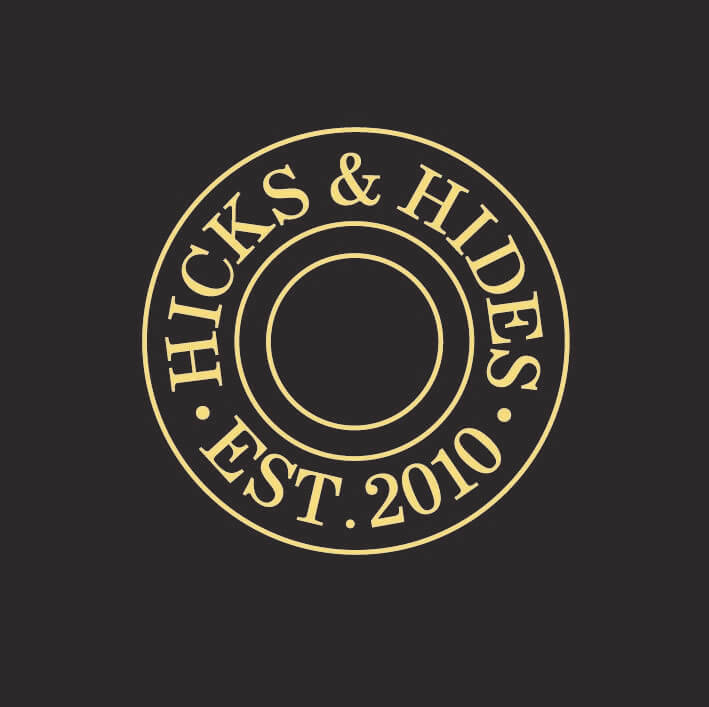 Hicks and Hides offer unique belts, dog collars and leads, purses,wallets, travel-wear and other shooting accessories. 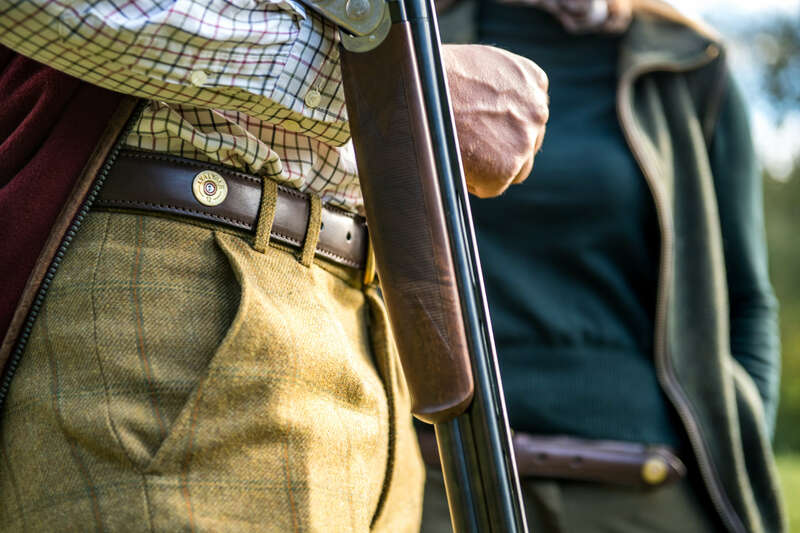 All of our belts,dog Collars and leads are made by hand in England and include our signature addition of recycled shotgun cartridges or rifle brass casings. 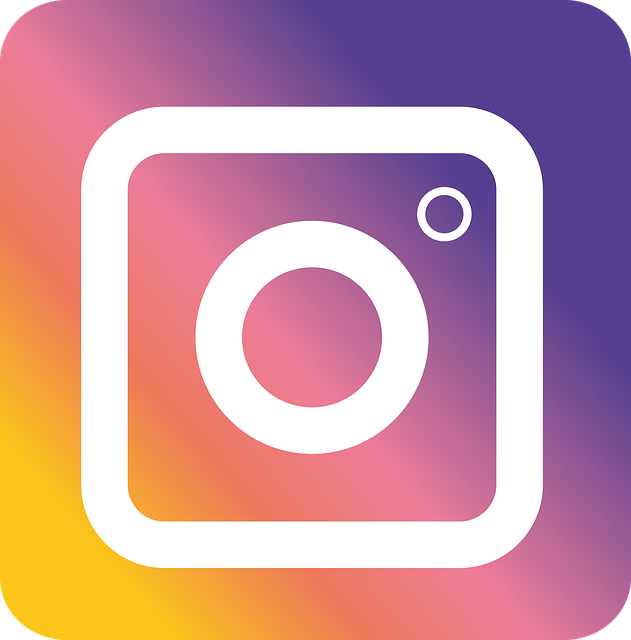 Imagine Contemporary Portraits are an independent portrait studio, offering family photo-shoot experience packages from just £35. Based on a working dairy farm, there are opportunities for both professional studio and natural . 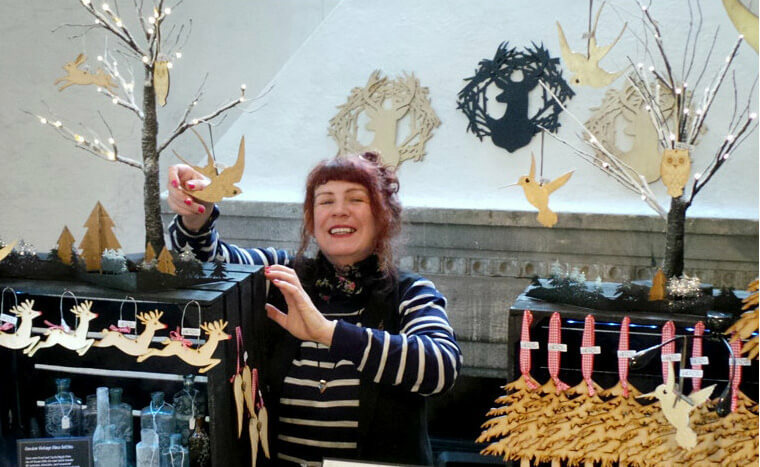 Discover how Denise Law styles her two stores - Stow-on-the-Wold & Cirencester. 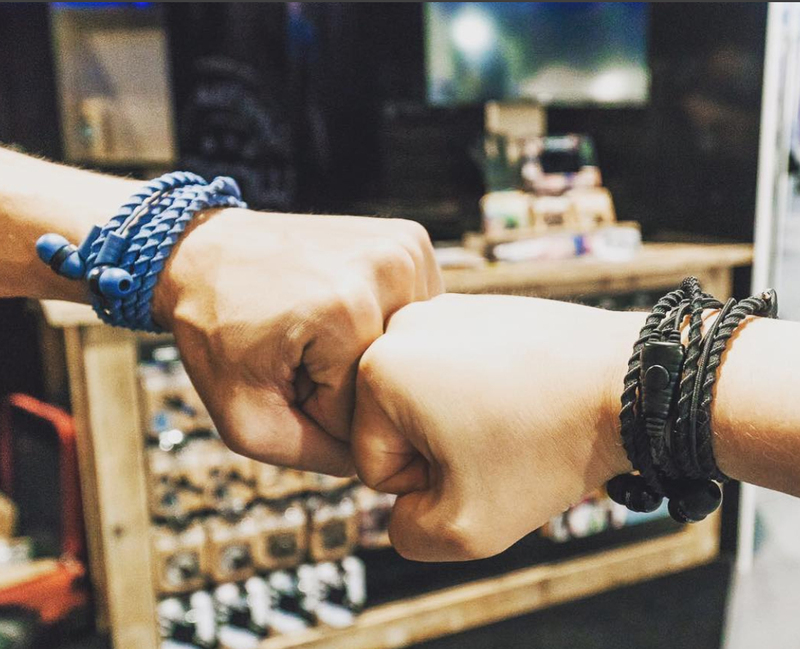 Both lifestyle boutiques offer a cool, relaxed style with an affordable price tag. 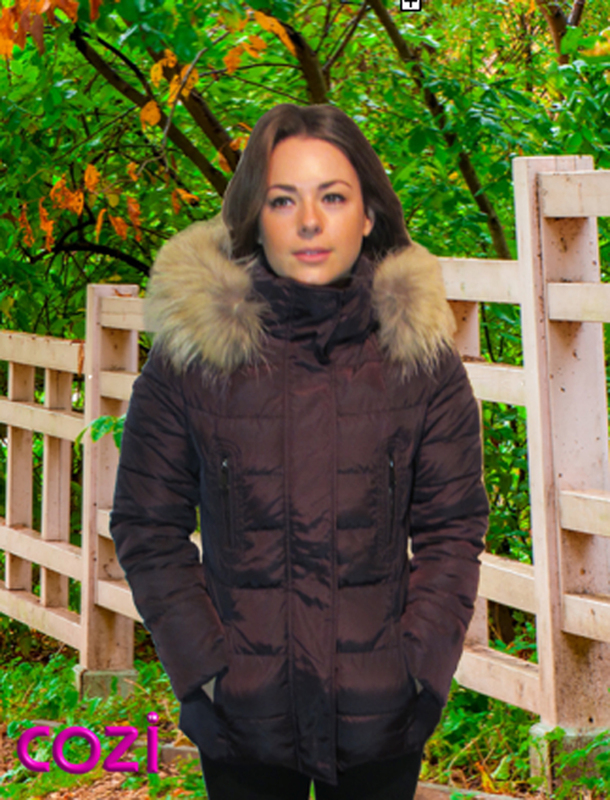 An exclusive range of jackets, coats, gilets, knitwear, wraps, hats, gloves and accessories. Our 2018 collection includes beautiful sweaters, snuggly sweatshirts, classic and multi-way ponchos, elegant wraps, scarves, pom-pom hats and gloves. A stunning collection of semi-precious and pearl jewellery, crafted from beautiful and rare raw materials sourced all over the world. 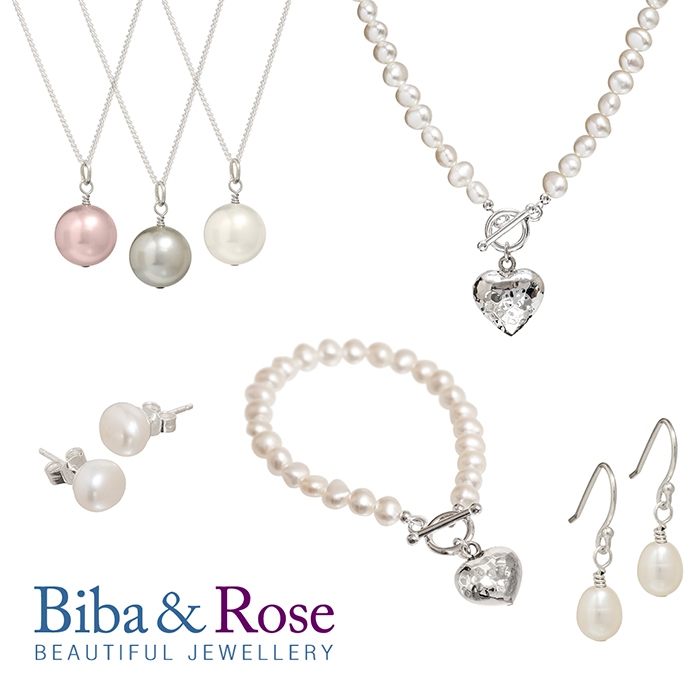 Just launching a gorgeous new pearl collection, perfect for a truly special Christmas present. 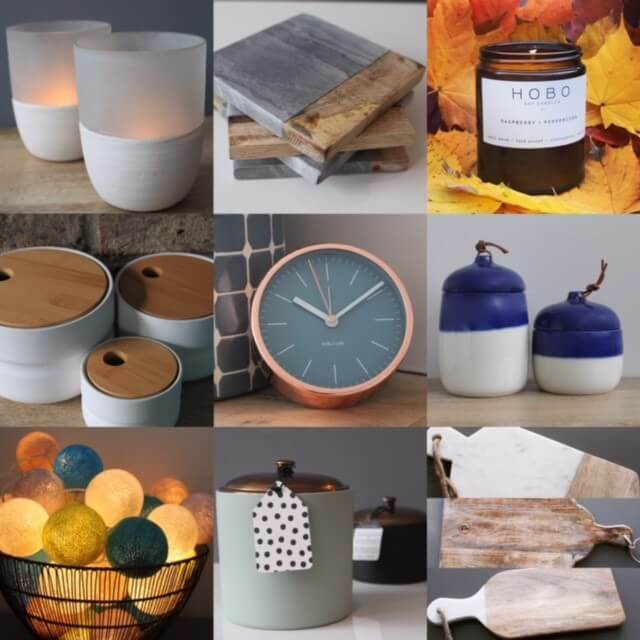 We aim to help you create your perfect home with a range of Scandinavian and boho inspired home accessorises from around the world. 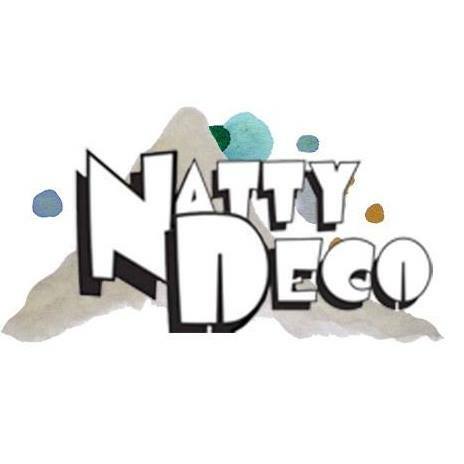 Natty Deco's charming festive decorations are designed and made in Somerset by Maggie Powell. Maggie cuts and finishes each deco herself using sustainable and recycled materials where possible. 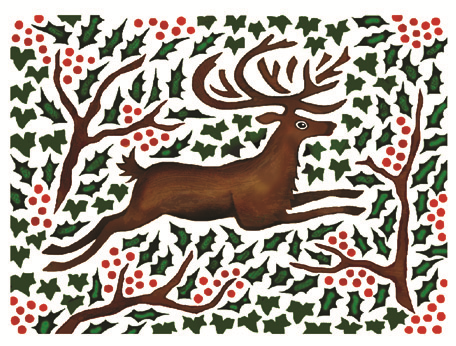 This year lookout for new Leopard and Lurcher decos ready to decorate your Yuletide home. 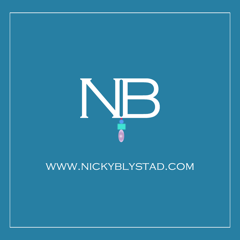 Nicky Blystad Jewellery is a collection of semi precious stones, handset in sterling silver and 22ct gold plate. 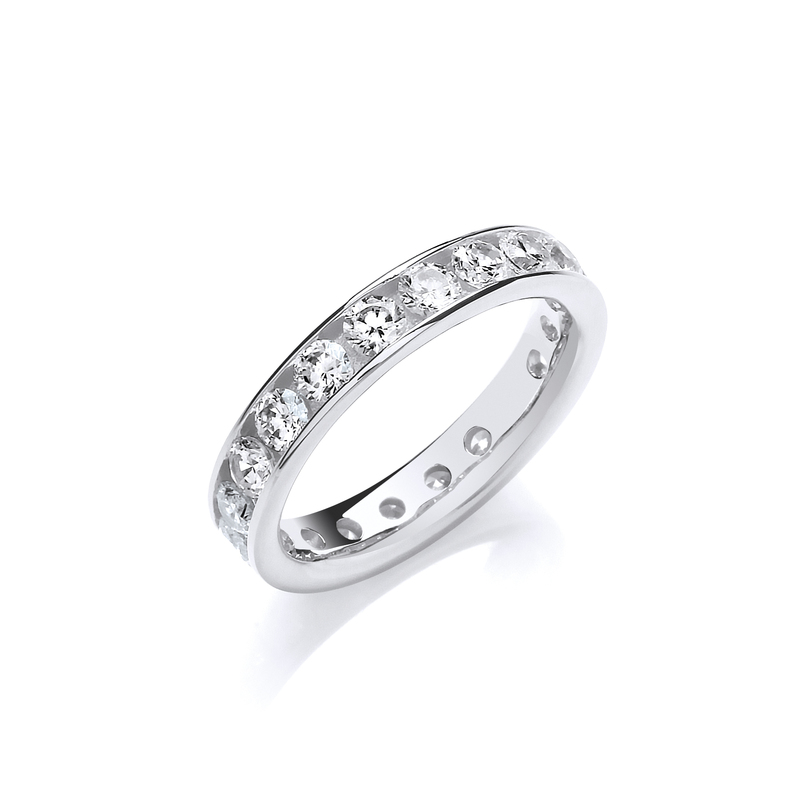 We pride ourselves in individuality and quality; each piece is designed by us and handmade by our talented jewellers, resulting in uniquely desirable pieces. 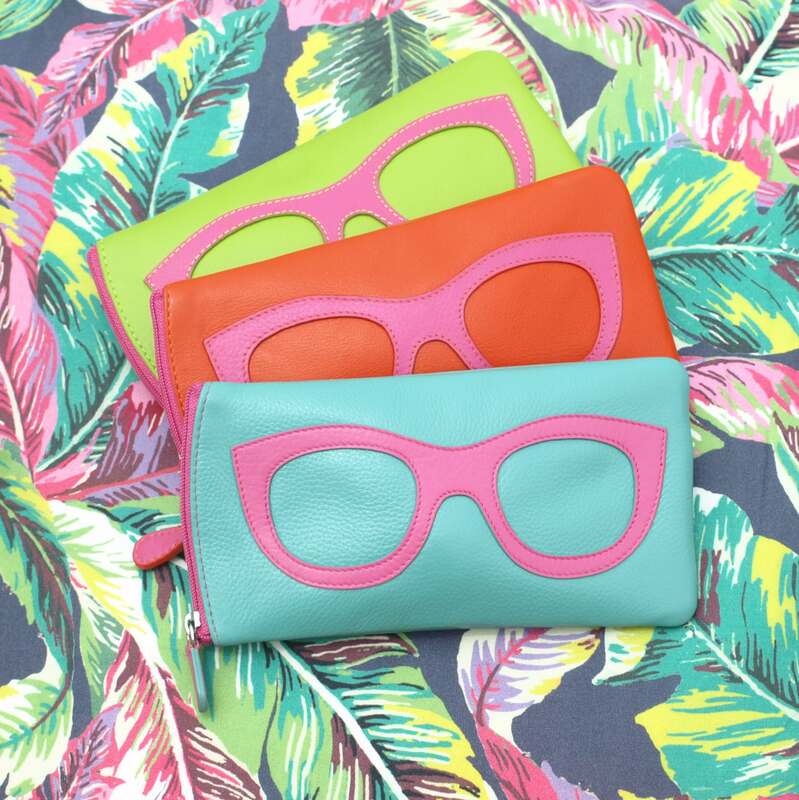 Ostrich 2 Love offers a colourful selection of exquisitely hand-made handbags, wallets and accessories. 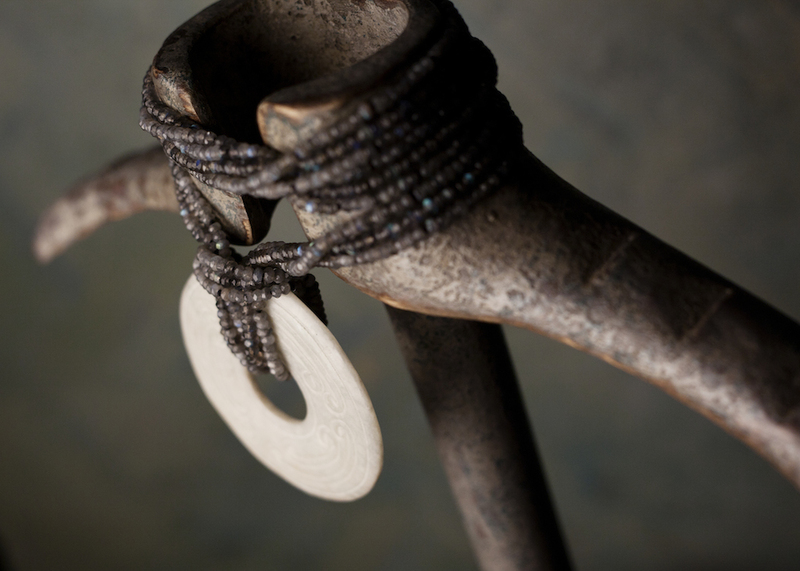 With a focus to ostrich leather, ostrich feather and other stunning materials unique to South of Africa, all supporting fair trade and small local industry. Colourful pyjama bottoms for all ages, colour your own pyjamas, girls sleeping shorts,boxer shorts, all of which can be personalised. 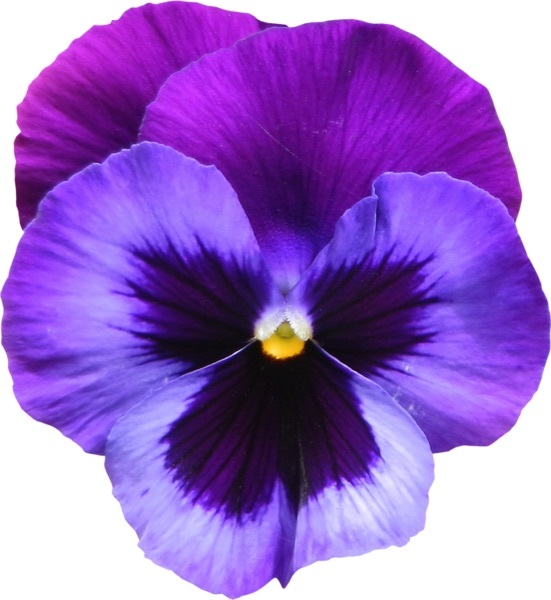 Silk flower arrangements in antique and vintage vases. 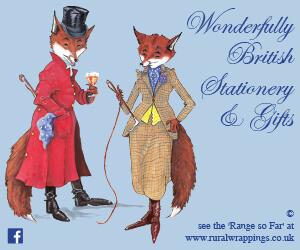 The Rural Wrappings ethos is good value, good quality, good design and useful, a pleasure to give and to receive. 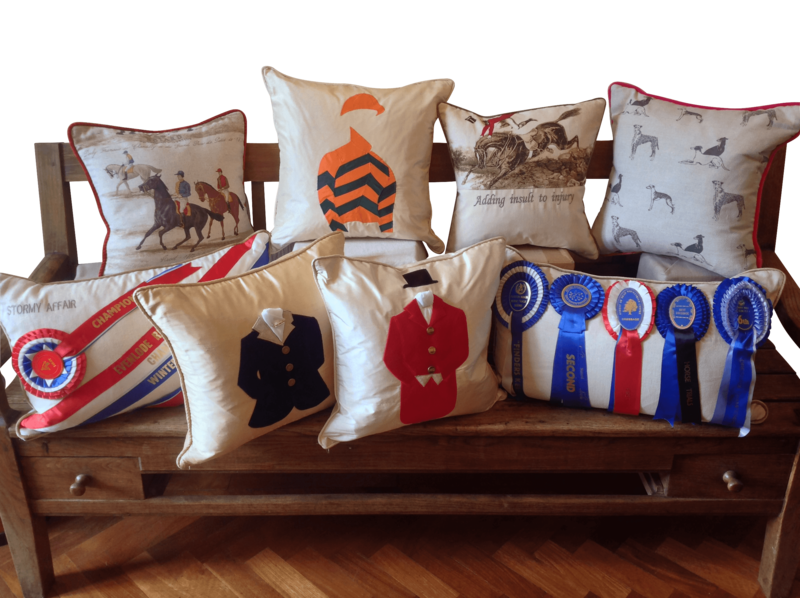 The British products feature original Countryside & Equestrian Art that makes you smile. 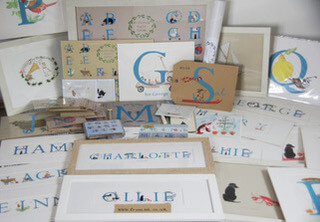 Stationery, textiles and small gifts from £5.00. 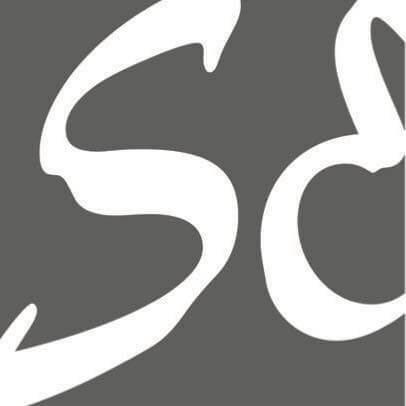 Sant Elia is a family run business focusing on healthy living, part of which is producing our own Extra Virgin Olive Oil and wines from our olive grove and vineyards in Le Marche Italy. 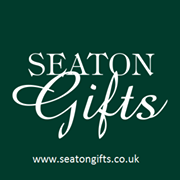 Seaton Gifts brings together fabulous fashion and accessories together with great tech and toys. 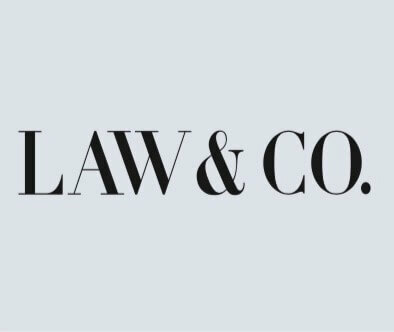 Whether you’re looking for the perfect gift for your husband or partner,or need a Secret Santa or stocking filler you’re sure to find it here. Products include Mova Globes, Click Clocks, Mighty Purses, Retro Glasses Cases, Rainbow Jumpers and much much more! Toys,games, gifts, “stocking fillers” and advent calendars for children of all ages. 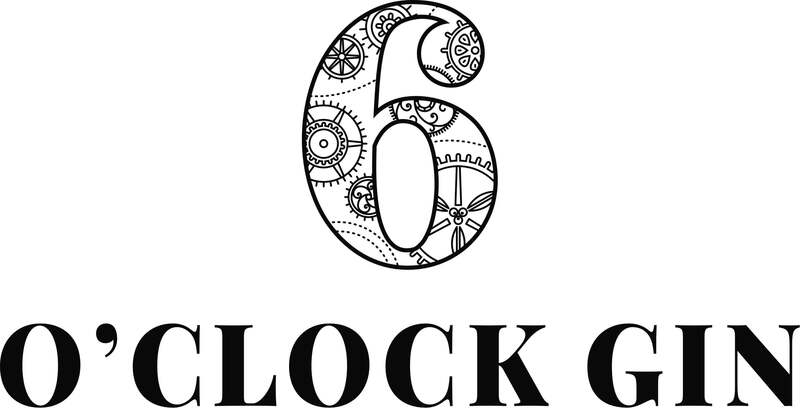 6 O’clock Gin is a range of strikingly-smooth artisan gins, handcrafted in small batches, using traditional skills and only the best natural ingredients. 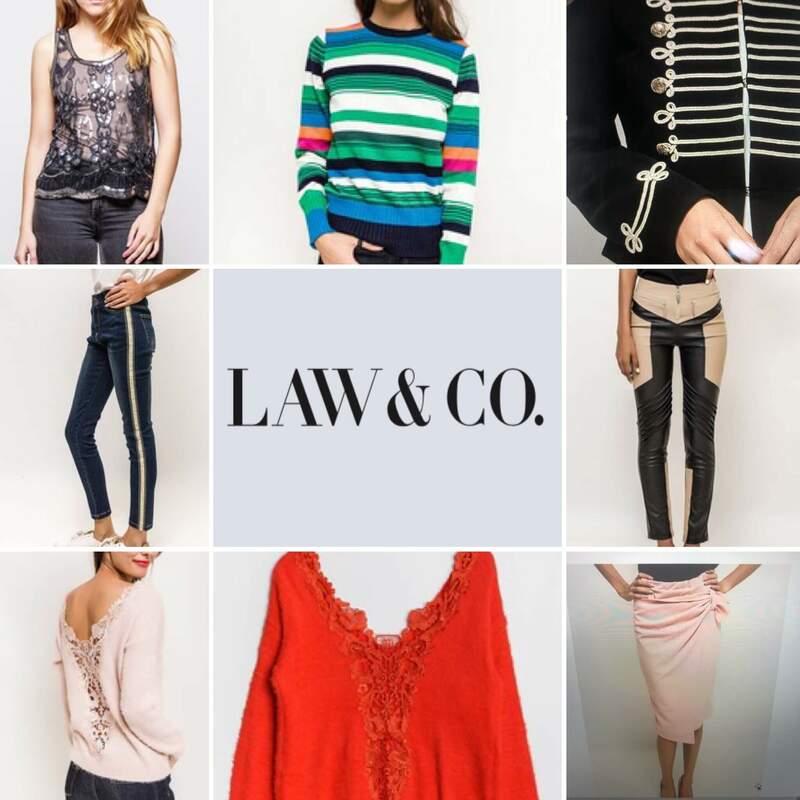 A collection of affordable clothes and accessories sourced from Spain and beyond,chosen because we love everything we sell. 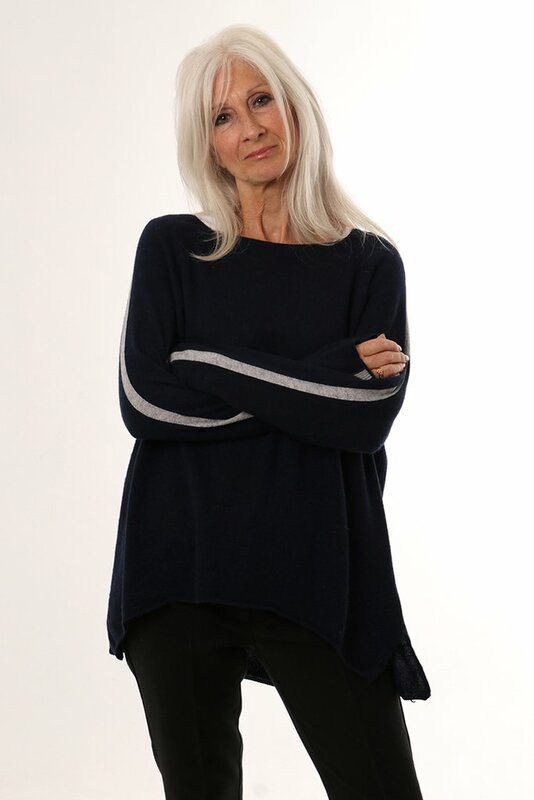 Lots of cashmere and non cashmere knitwear to suit your entire family; very reasonably priced to include: Hats, scarves, gloves,socks, cardigans,jackets, and fabulous jerseys for him and for her! 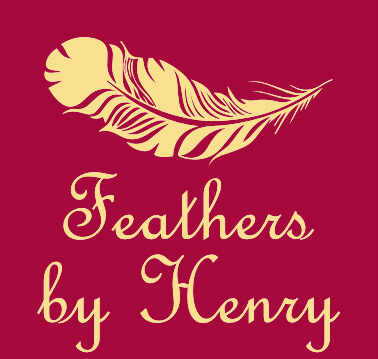 Faux Diamonds, Gemstones, Freshwater Pearls, Silver and Gold designer style BRITISH made jewellery to suit all ages and styles. 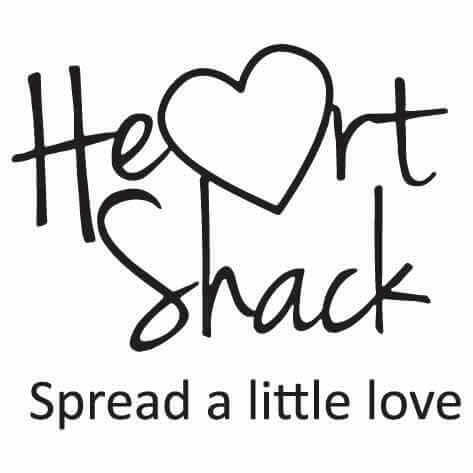 Prices start from £10. 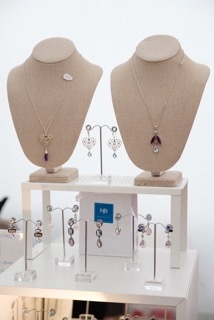 As a dedicated jewellery stall who has been on the charity fair circuit for 17 years I pride myself on building relationships with my customers many of whom have become friends over the years, as they know I provide incredibly good value jewellery which is all sourced from UK jewellers and attend all the fairs myself. 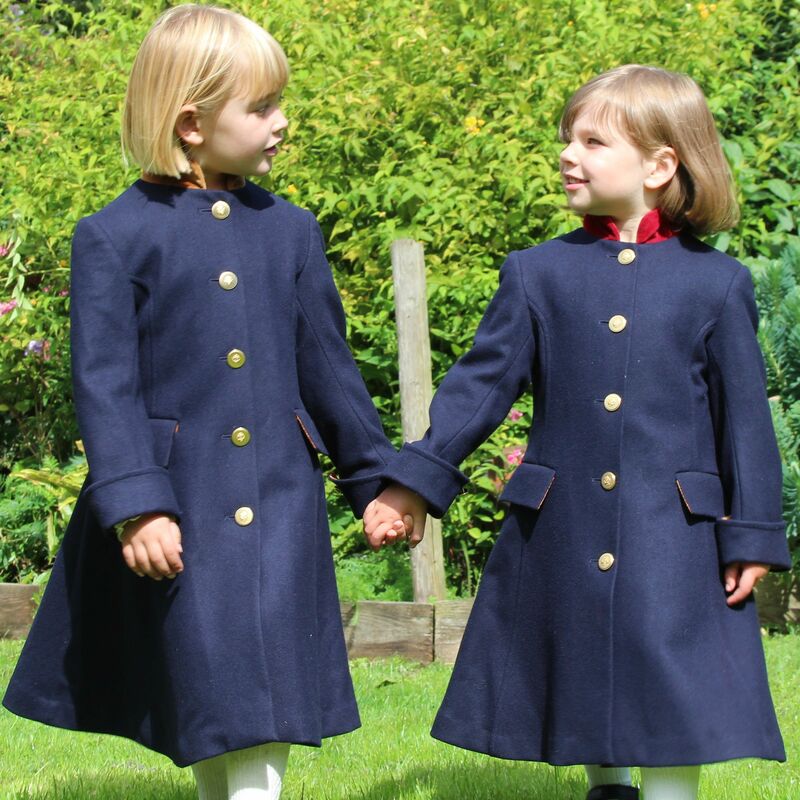 A wonderful collection of boys and girls traditional clothing with an up to date look. 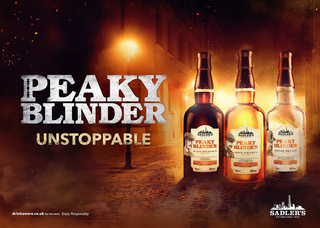 Suitable for all occasions and hard to find anywhere else. I am sell homemade Christmas puddings to a very old recipe from Jane Rook and homemade Christmas cakes. No nuts but full of fruit and enjoyed by all who have bought them. I am only exhibiting at this fair so can be contacted at home. Teeka is an online business which sells unique items for your home, old and new. Our moto is 'the more colour and pattern the better'! 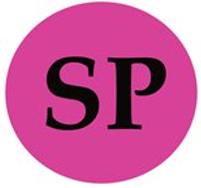 The Accessory Queen offers a collection of ladies accessories. 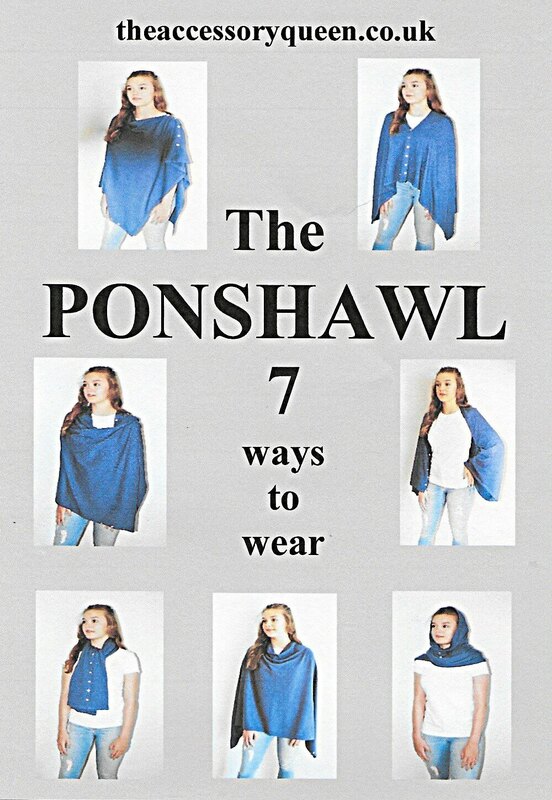 The amazing convertible ponshawl, which is available in many styles & colours, is complimented by a collection of jewellery and the Branche d’Olive home fragrance range. "The Boot Room offers a wide selection of handcrafted leather and suede boots, using the finest quality leathers. We also offer a bespoke service on our long boots, so they can be made to any calf measurement & length. So all the people who I've heard say they can "never get long boots to fit"you can now at The Boot Room! " 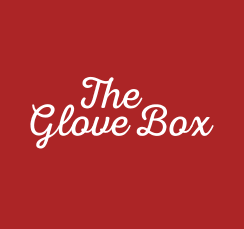 The glove Box buy directly from Dents who have been manufacturing gloves since 1777 and carry The Royal Warrant from Buckingham Palace. 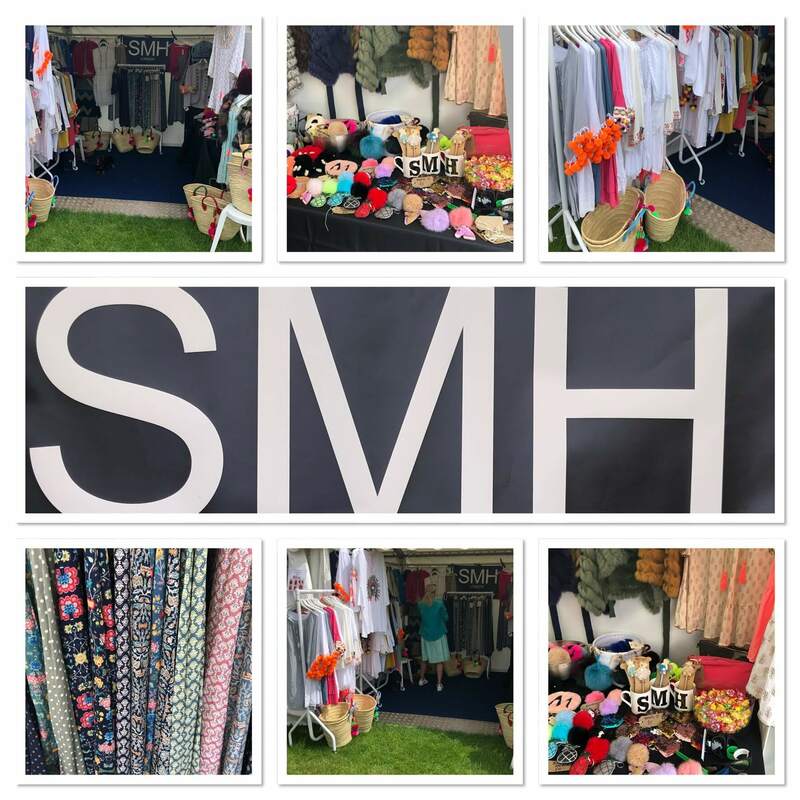 In addition we sell Dents matching hats and scarves, plus Ms Organizer a handbag organiser that fits most Handbags.We also design & manufacture velvet snoods here in UK affording us exclusivity for this product which ‘sell out’ each year. 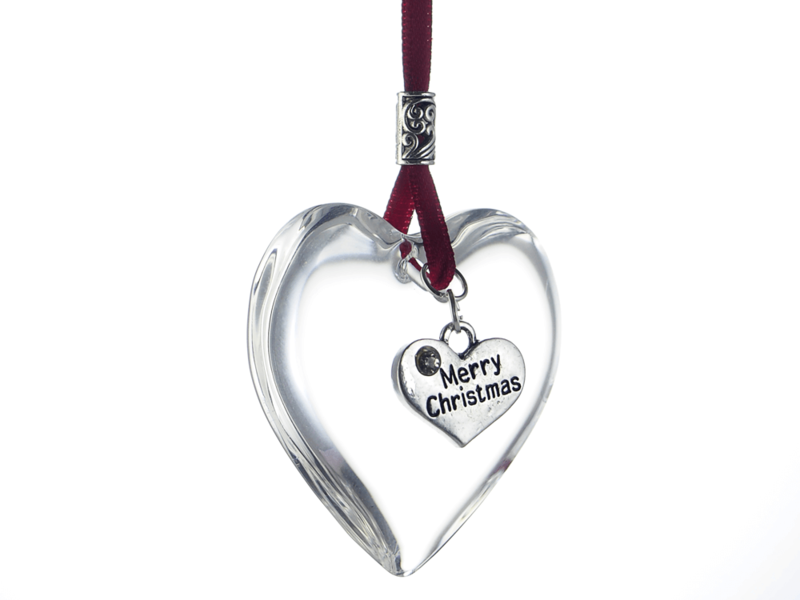 Personalised Glass Hearts with Charms held on ribbon or beaded thread. 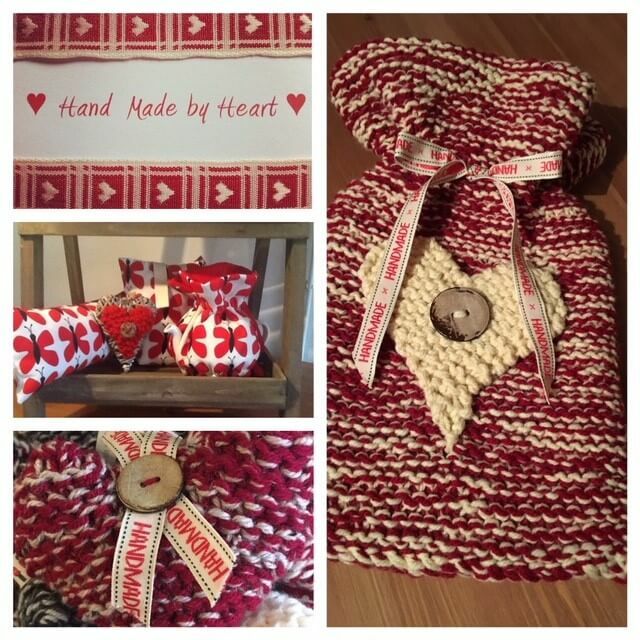 Hearts for all occasions including Weddings, Birthdays, Anniversaries and of course, Christmas. 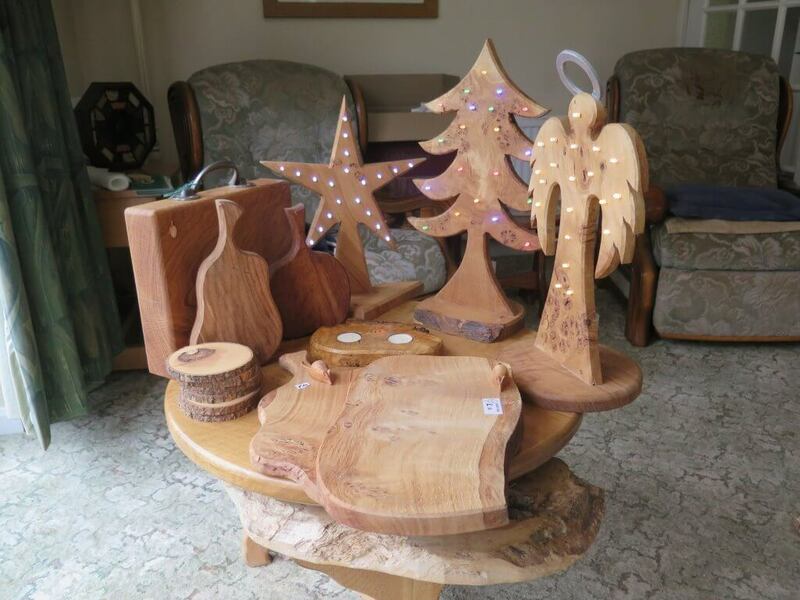 Our Christmas range is unique each year. 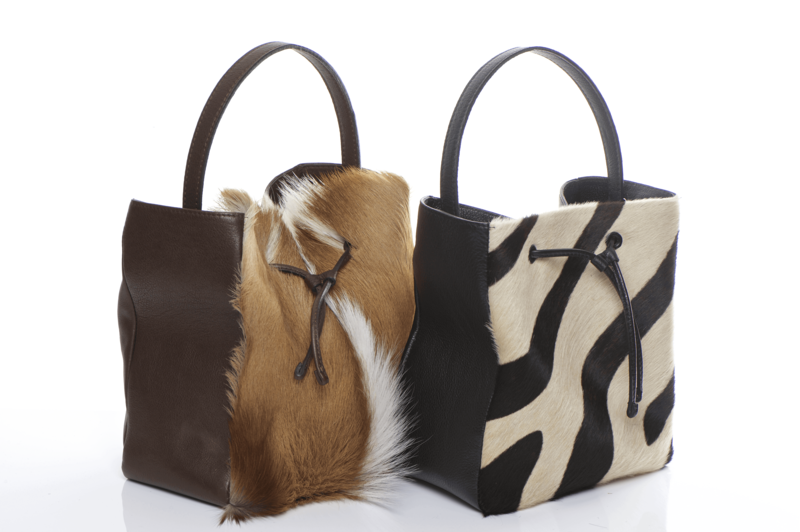 A stunning range of African Handbags and clutches, Leather Beaded Belts, Animal Collars, Sundowner Cups, Cowhide Cushions, Presents for Men, Accessories and Reversable Cotton / Cashmere Ponchos. 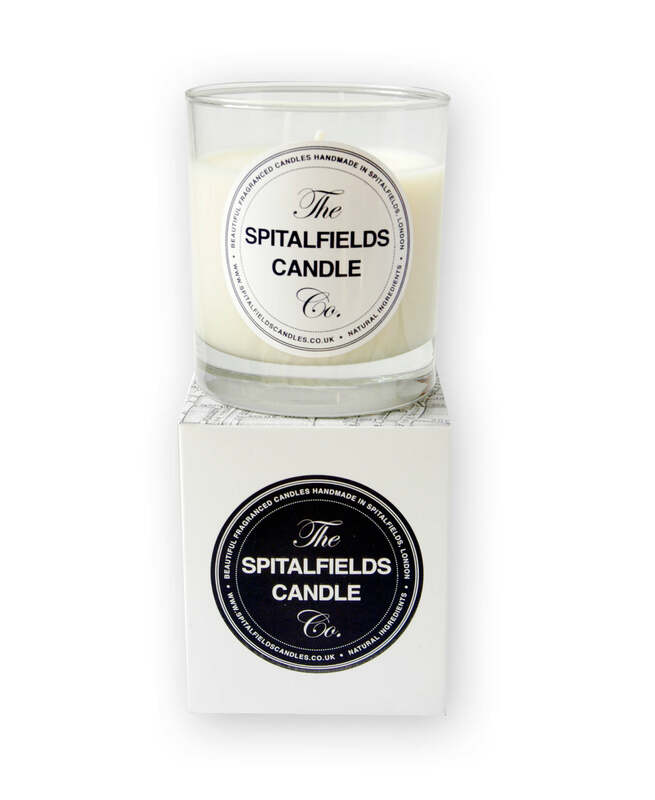 The finest 100%natural luxury scented candles and room fragrance from the heart of London. 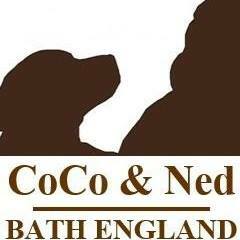 Handmade in small batches using pure aromatherapy grade essential oils and an eco soya wax from a sustainable source. 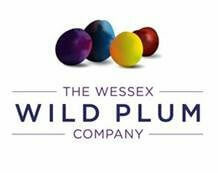 TheWessex Wild Plum Company produces award winning plum liqueurs using plums grown in our orchards on the Southern Downs. 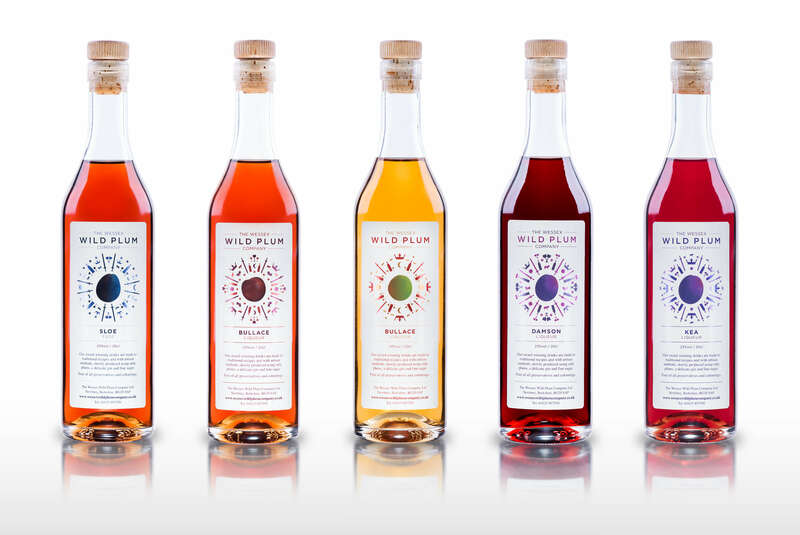 Made to a traditional recipe, with artisan methods and using a delicate gin, each of our liqueurs uses a distinctively different British plum to produce a very fruity, long and obviously plum flavoured drink. 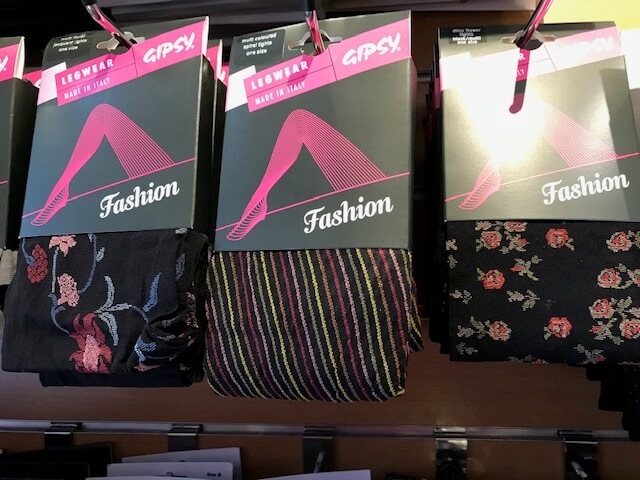 Desirable Leg-wear for Women of all ages. Range includes Fashion Tights, Stockings,Holdups & Socks, Christmas Novelty Tights, Socks & Hats, Warm Winter Wraps & Faux Fur. Fun, vibrant & stylish! 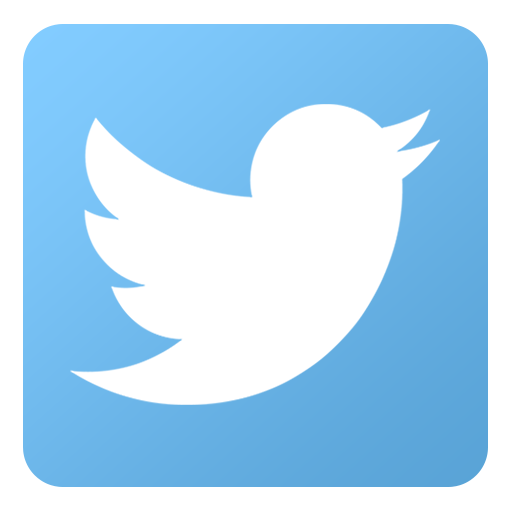 Here at Three Boys Rock we offer original and fun gifts, games and gadgets for ages 8 to 16. So whether you’re looking for something for a sporty, techy, creative or other kind of kid, we aim to have the perfect solution for this awkward age group! 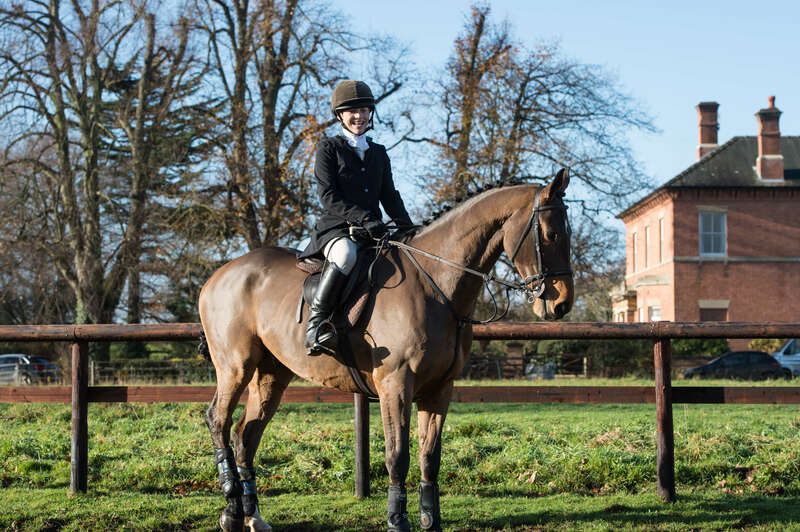 Treehouse sporting colours specialise in fun and innovative products as well as their core of the business of xc colours and safety equipment. This includes the Helite Hunt Coat, shown here, which is a traditional looking hunt coat but offers high tech air bag protection. 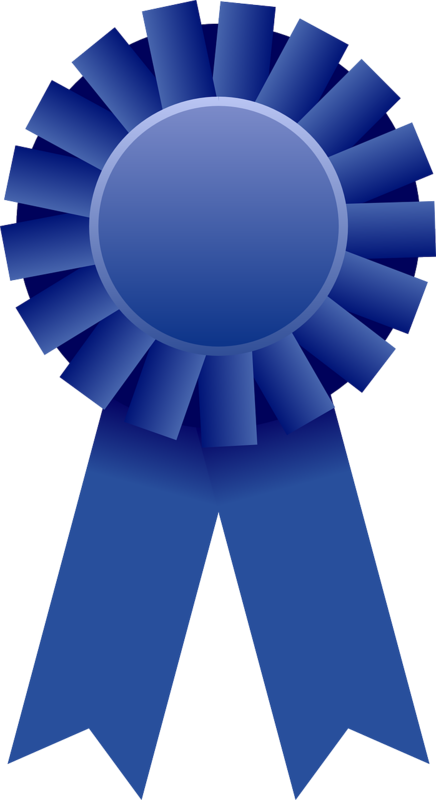 We offer an experienced and qualified safety fitting service and are always happy to help with any queries. 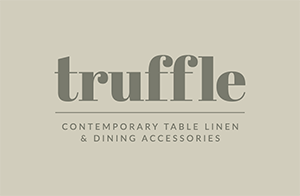 Truffle: A gorgeous collection of contemporary artisan table linens and serve-wear, perfect to add the finishing touches to your festive table. Remember to measure your table before you visit the Fair! 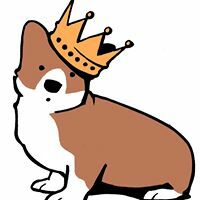 Inspired original designs for your dog. 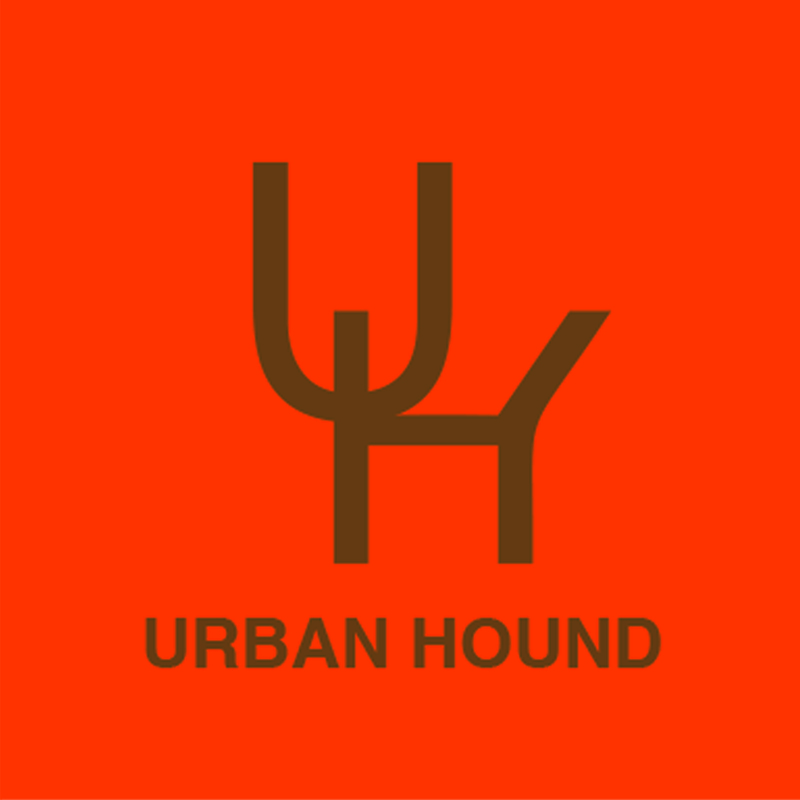 Our ethos is to blend contemporary materials with hand crafted creativity - the best for you and your dog’. We are independent wine merchants based in Tetbury, importing big wines from small growers. We can create bespoke wine labels that are perfect for weddings and events, even better as Christmas gifts! We also have our C+10 wine buyers club, offering brilliant prices and private member tastings. 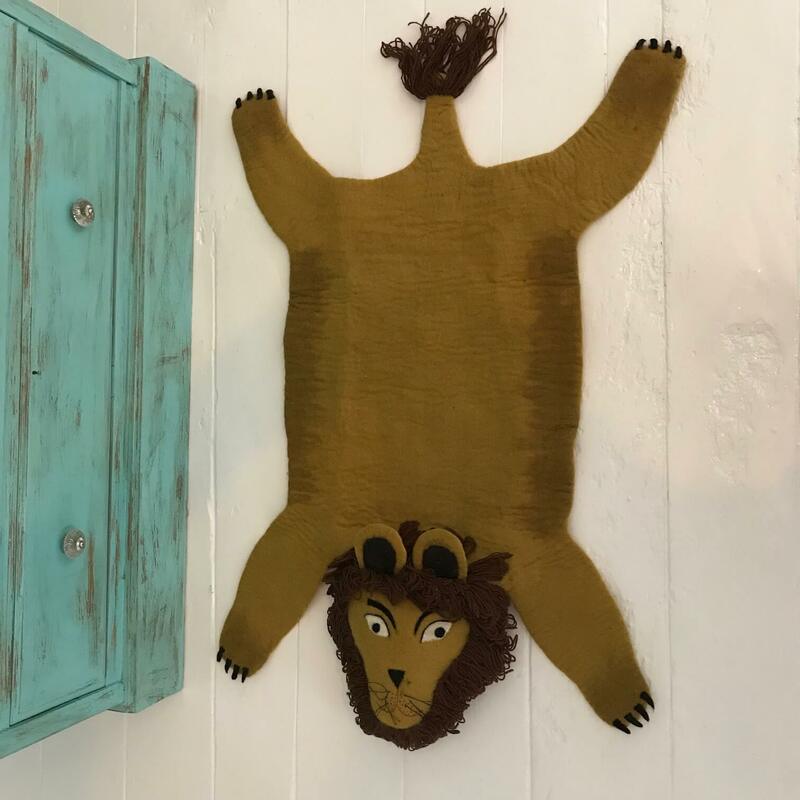 Violet Agnes is a small business started by two working mothers who supply ethically sourced, sustainable products from as far-afield as Madagascar to Yorkshire! 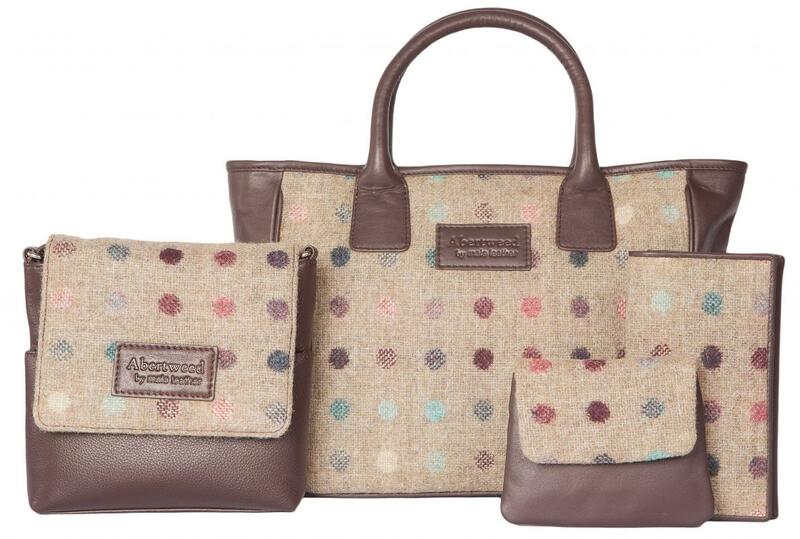 Bags, baskets, purses, recycled cashmere,long hot water bottles – it is all here. 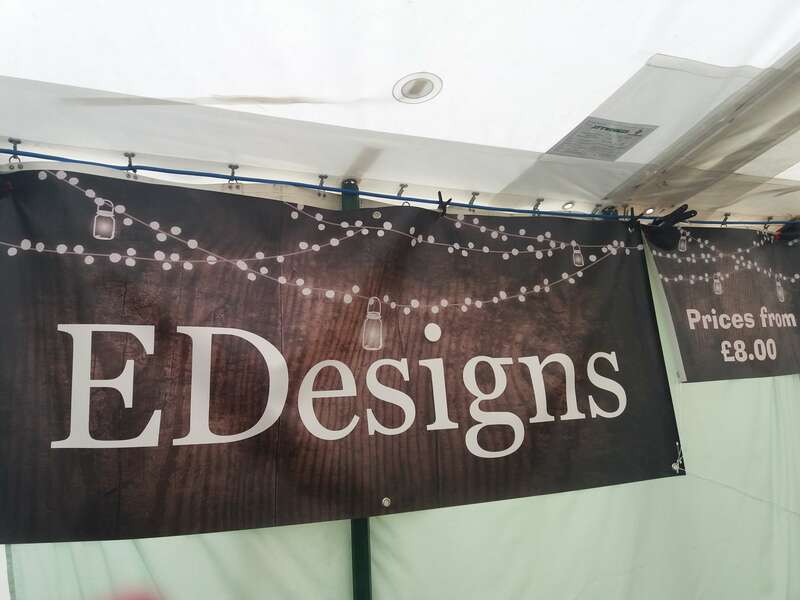 Winning Memories Bespoke Cushions offer a bespoke service for personalised cushions to be made to your liking and there will also be a variety of fun cushions for sale on the day. Perfect presents. Something for everyone! There will be special offers on all cushions bought or ordered on the day! Look forward to seeing you. 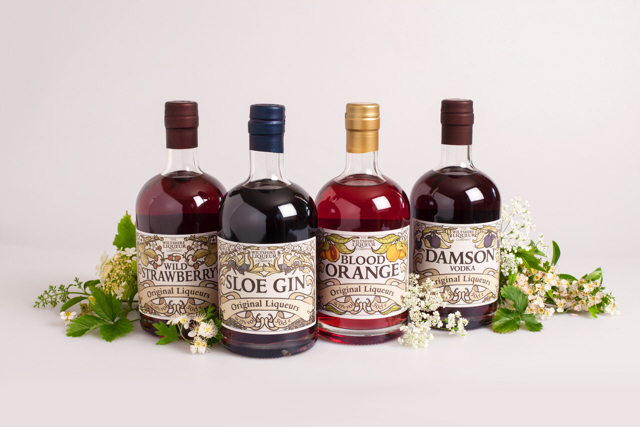 A range of Original Liqueurs - Sloe Gin, Damson Vodka, Blood Orange Liqueur, Wild Strawberry Liqueur and our limited edition - Christmas Liqueur. Liqueur humbugs, handmade chocolate liqueur truffles and jellies and marmalades. 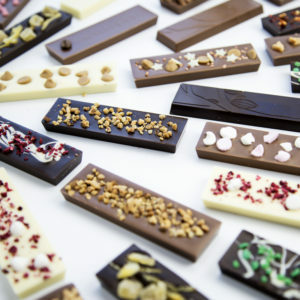 All available singularly or as part of luxury gift boxes. 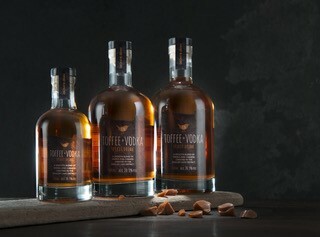 Award winning 'Kin Toffee Vodka produced in the Lake District and winner of Best Taste awards 2017 & Peaky Blinders Spirits- black spiced rum, dry spiced gin & Irish whiskey. Caps with razor pins with prices to suit all budgets from £10-£30.